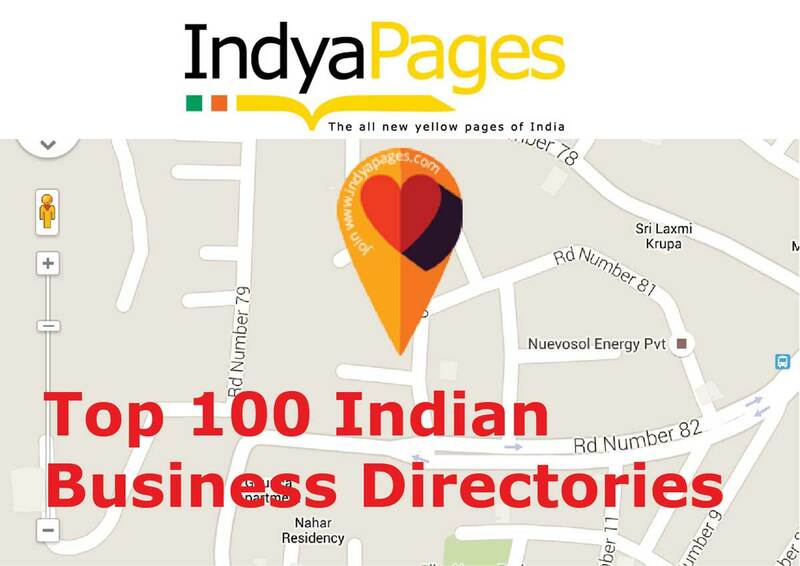 101 Top Indian Business Directory Listing sites. Looking for Local Business Listing or Business Marketing sites in India where you can list your business? Local Business Listing sites India help a business to get more traffic from its target customers, hence more clients. If you are visible in front of your target customers, you will get more traffic and leads. If you are searching local listing sites such as Google+ Local, Facebook and Bing local, you should go through this list. These sites help your customers and clients to find you when they are searching you. SEO AIM POINT is presenting this list of the top 100 Local Business Listing Site in the India which will assist you to rank your site on top of search engines. How to get yourself registered to Indian business directories? On the home page of the business directory, go to get listed today button, fill in all the email address and password and confirm your registration by opening and clicking on the ‘verification link’ in the email received from our business directory. In the ‘about your company/business‘ field, fill in as much as possible details. By providing your company information elaborately makes your business listing professional and it improves the search-ability (online visibility) factor of your business.